As 1900 ended, the Guerrilla War still spluttered on. Commandos under De le Rey, Kemp and Beyers had concentrated and, on 13 December 1900, attacked the camp of General Clements at Nooitgedacht in the Magaliesberg mountains to the west of Johannesburg. The Boers had overrun the camp, and though Clements had extracted a portion of his outnumbered force and all his guns, 630 men were killed, wounded or taken prisoner. In the wake of the victory, Beyers moved his commando back north again, returning to the Waterberg mountains without incident. The forces of De la Rey and Kemp instead trekked south towards Ventersdorp and Lichtenburg, with General French in pursuit. The commandos evaded French’s columns, however, and doubled back north again. Though they had shaken off French, forces in the region of Ventersdorp under Major-General Babington[i] picked up their trail and closed in. On the morning of 5 January 1901, two squadrons of Imperial Light Horse, under Colonel Woolls-Sampson[ii], pushed into the Magaliesberg as part of Major-General Babington’s 1,600-strong column[iii]. 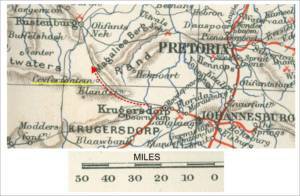 Babington’s quarry was De la Rey’s Commando, which intelligence reported to be lurking some 30 miles west of Krugersdorp. Major C. J. Briggs, a professional career officer of the 1st Dragoon Guards, had been attached to the Imperial Light Horse, as there had been a growing feeling in British High Command ‘that all is not well with the ILH’[iv]. By early 1901, the ‘Uitlander Regiment’ was certainly very different from the dashing unit which helped smash Kruger’s invaders at Elandslaagte and held the line at Wagon Hill; considering their work to have been done, and the Boer invasions to have been defeated, many of the original recruits had taken the chance to leave the regiment, and though the two squadrons Woolls-Sampson led boasted about 200 men[v], about half of were raw recruits, with many of the other half being disgruntled men, keen to get away on some long-awaited leave. As Babington’s force marched northwest, numbers of Boers were sighted off to the British left, moving from one hill to another on a farm called Cyferfontein, and the Major-General ordered Woolls-Sampson to chase them off. Always eager to get at his hated foe, Woolls-Sampson neglected to dispatch any scouts, and instead led his two squadrons off at a ‘fast trot’ towards the Boer-held hills. So rapid was the advance of the ILH, indeed, that a pair of attached pom-poms under Captain Brierley RA[vi], were unable to keep up, and soon fell behind. Briggs twice cautioned the impetuous Woolls-Sampson to slow down, and send scouts forwards, but ‘Sambo’ was having none of it; even when he was finally persuaded to deploy scouts, he pressed his troops forward so close behind them as to defeat their purpose. This sharp bombardment – together with a move against his flanks by the balance of Babington’s mounted troops (under Colonel Raleigh Grey[ix]) – was too much for De la Rey, and he withdrew his Commando, galloping back up the valley. Grey’s troopers pursued the fleeing Boers, but the broken country quickly rendered this ineffective. Such was the calibre of the men who built the Empire: little wonder that Kruger’s insane dreams of driving them out of southern Africa came to naught. Babington visited the ILH camp that evening, addressing the men and declaring that they had: ‘behaved splendidly, particularly under the circumstances; they had had fearful odds against them both in position and numbers’. Such a burning passion – hatred, even – was not always appropriate for the Colonel of a regiment, however, and Woolls-Sampson, who was not a professional soldier, had not been a success in that role, ‘he was proud of his men and had great affection for them, nevertheless his manner of handling them in camp and on the march was autocratic and intolerant, and his methods in the field, when in touch with the enemy, were impetuous and unorthodox’. Popular perception of the Boer War is full of far-fetched myths of ‘gifted amateurs’ magically proving to be better senior commanders than long-serving, professional , highly experienced career soldiers… unsurprisingly, these are, by-and-large, just myths. [ii] Woolls-Sampson (who enjoyed the delightful nickname ‘Sambo’) was an uber-Uitlander and one of the driving forces of both the pre-war Reform Committee which campaigned against Kruger’s blatantly unfair franchise rules, and the Imperial Light Horse which was raised to oppose Kruger’s dreams of driving the British from Southern Africa. [vi] Later Colonel Brierley CMG, DSO. Brierley commanded a battery of 60-pdrs at the start of the Great War, losing a leg in 1914. This trifle does not seem to have inconvenienced him at all, however, and he cheerfully wrote: “I can now play golf all day, and am the fittest man in England”. [ix] Later Sir Raleigh Grey KBE CMG CVO (1860–1936). 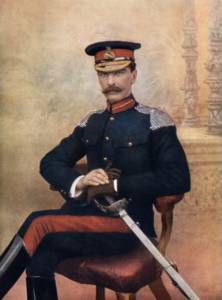 Commissioned into the 6th Dragoons (Inniskillings), Grey transferred to the Bechuanaland Border Police and served in the Matabele War of 1893. He later took part in the Jameson Raid, spending time in gaol as a result. After reading the sources above, but especially “Anti-Commando”, my understanding is that Sampson had noted at the start of the day that the hill was strategic and he sought permission to occupy it without delay. Permission, however, was painfully slow in coming and, when it did, Sampson acted on the basis that there was not a moment to be lost. In this he was right – but by not sending out scouts he was horribly wrong. But so too were his superiors for dilly dallying. I think that this illustrates the unavoidable risks of a command structure in which even Colonels in the field have to refer back; By and large I agree that the British generals were good, but they certainly (not all of them) had the same “dash”. No wonder that the subsequent Commission of Inquiry came to nothing. That’s an excellent point, Benjy – in a time before radios, things became very snarled up unless senior commanders allowed a good deal of latitude to their sub-commanders. Any attempt to micro-manage actions from afar would spell disaster, as the Boers would quickly be ‘inside’ the British decision-making process. 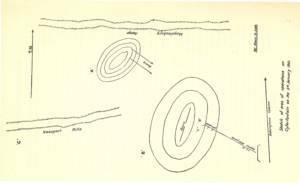 Woolls-Sampson certainly should have had the latitude to occupy a hill without having to refer back for permission. I remember being taught how to give orders in the British army, and it was emphasised to us that we had to ensure sub-commanders understood the general intention, rather than just the specific task in hand. We were given the Gallipoli landings as an example – a certain battalion had orders to land and secure their particular beach, which they duly did. But they did not take the chance to press on, and secure the (then-unoccupied) high ground above their beach, for the simple reason that it was not part of their orders. We were told that the simple addition to the orders process, explaining what the commander’s overall intention was, could have alleviated this.